Moving is not for the faint-hearted and the hidden costs can add to the trauma. I learnt the hard way when I moved previously from Melville to Ferndale, in Johannesburg. It cost me R1,000 for a 12km trip. I was then slapped with an extra charge by a generous gentlemen who wanted R200 more to carry my goods up to my second floor apartment. So when I had another move on my hands, and it was further away - a 19km trip from Centurion to Midrand - I went looking for another option. 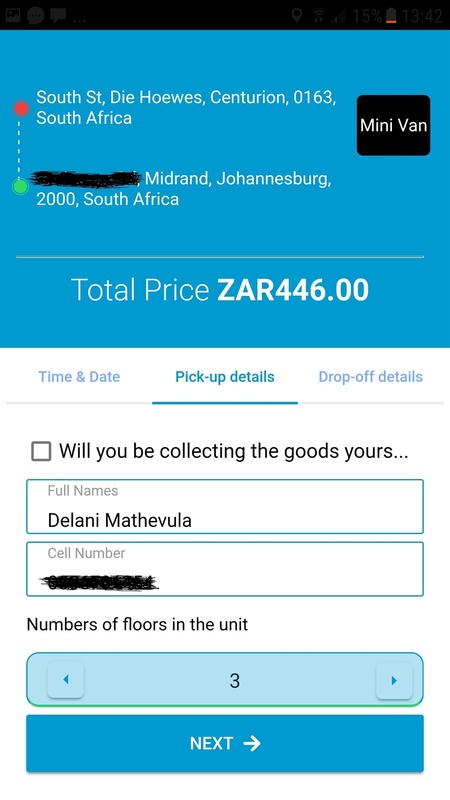 I decided to try Droppa, a logistics e-hailing app for bakkies and trucks the helps people move goods between places. So, I downloaded the app, and registered. The first surprise was that I could only arrange a delivery between 08:00 and 17:00. According to Droppa founder Khatutshelo Mufumadi, this is primarily to ensure the safety of drivers. I was hoping to supervise the pick-up and drop-off of my worldly belongings after work, so this was a huge inconvenience as I did not want to take work off to move. However the price sealed the deal. My trip came to R386 - more than R600 cheaper than the cost of my previous move, over a shorter distance - I couldn't say no. This was so affordable, that I added another quote to collect the rest of my goods at my uncle's house in Tembisa. It was R64 cheaper, which sealed the deal for me. But, then I got hit with the extra charges of labour and vehicle choice. 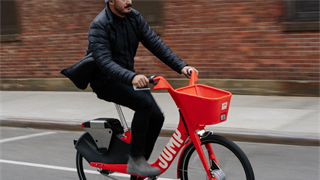 Droppa users are charged a base fee, which will depend on your chosen vehicle. Thereafter, you are charged R8 per km. Additional costs include labour to carry your stuff up stairs. 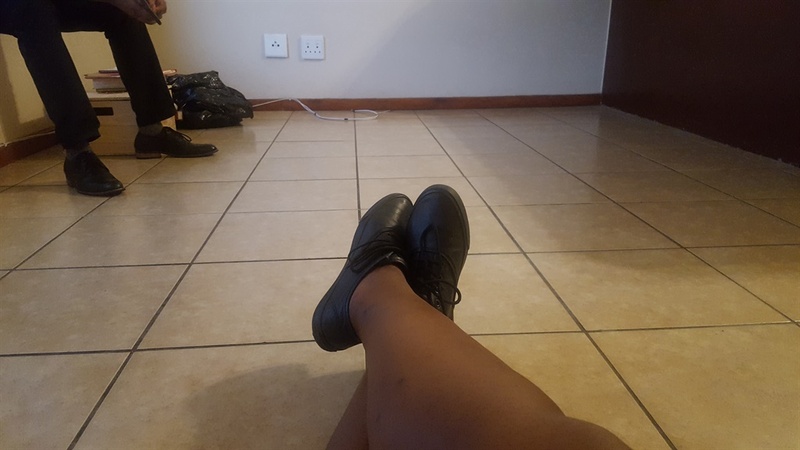 You'll pay an additional R20 per floor. 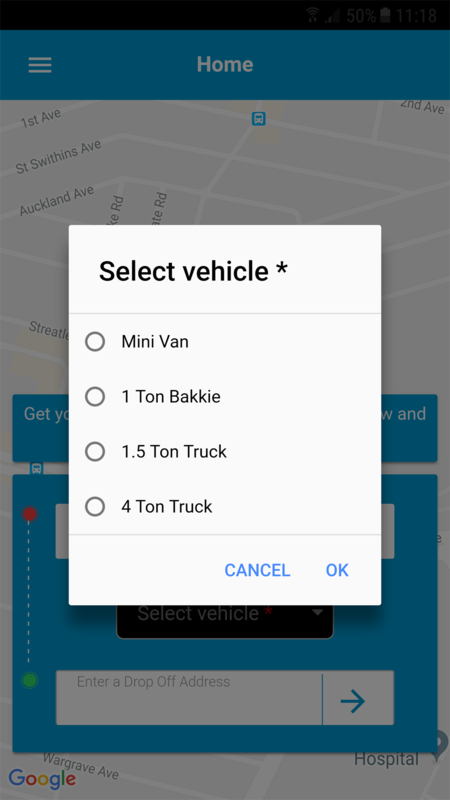 If the driver has to bring a helper, you will have to pay an additional R75. Given that I live on the second floor and was moving to the third floor in a new apartment, my revised quote (including labour) went from R386 to over R500 in total for the trip, still cheaper than my previous move. To cut labour costs I got a friend to help move my stuff to the ground floor. I arranged with a friend to move my stuff to the ground floor of my apartment block. This cut the labour costs, and my new quote was R446. I then tried to use the app and hail a Droppa - at first, it didn't go well. 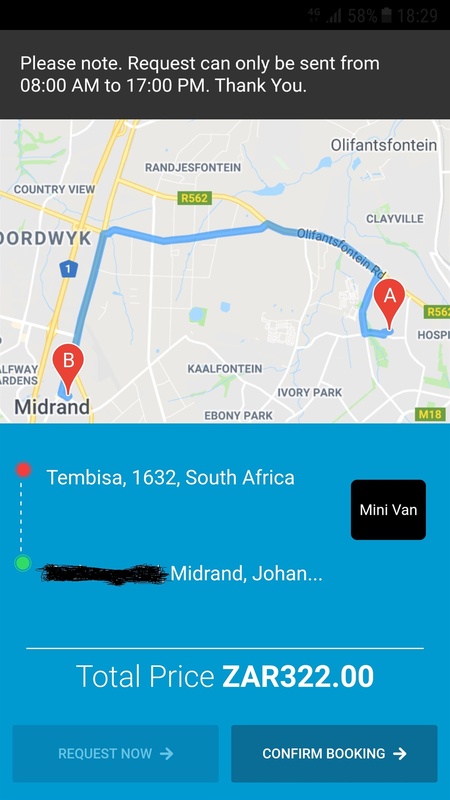 The Droppa was to collect my stuff at 4:30pm in Centurion and then meet me in Midrand, hopefully, by 5:30pm. At this time rain clouds started to gather over Centurion, he cancelled because his bakkie did not have a canopy. A second driver accepted my request a few minutes later, but half an hour later he called back, asking for directions to my apartment. After 6pm, I called my friend to ask how far they were. She told me that the second driver also didn't have a canopy and had been caught in the rain. They had to make a plan and find cover at a nearby garage to stop the bed from getting wet. After three hours delay, I finally got the call I was waiting for: "we're at the gate". Once the rain had passed, the driver finally arrived and said there had been a glitch on the app, hence the delay in the delivery. But, according to Mufamadi there was no glitch. "We have found that drivers do that in an attempt to save cellphone data." Instead of using their phone's navigation systems, Mufamadi says drivers will opt to call customers asking for directions. This can often cause delays and an inconvenience to customers. 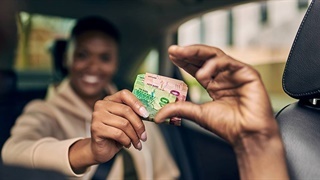 Mufamadi is hoping to find data partners to be able to subsidise drivers so that they do not cut corners. He also wants to introduce a Voice Over IP (VOIP) system that will monitor driver/customer interactions.The offloading was less stressful and my goods were still intact, although it was one really long day. Verdict - the move was delayed by almost three hours, but the price was worth the hassle. While the service and the app are still suffering from teething problems, the low cost more than made up for it. I still have things I want collected and I will give it one more try, given how much cheaper it is. Droppa has a 75% success rate, said Mufamadi. He hopes to improve the service that drivers deliver. 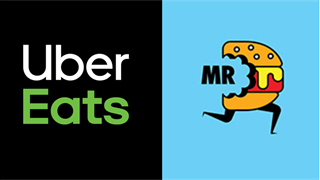 The app launched in Cape Town last week and hopes to debut in Durban in June.